At Tuesday night’s Board of Trustees meeting, following the first of three Executive Sessions on the agenda, Marise Cipriani gave an update on Granby Realty Holdings LLC. Cipriani told the trustees they are in the process of a sale to an undisclosed buyer. She explained there had been about a 3 month delay as they addressed other legal issues, and were reportedly back on track. The sale date was initially anticipated to take place on February 15, 2019. “I don’t have a date yet, but we’re working pretty hard on it”, she said. 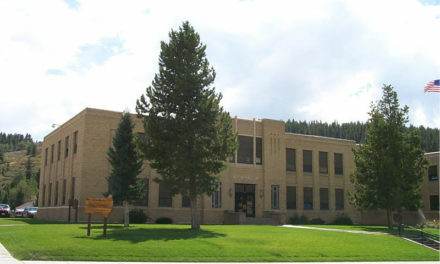 The Board motioned to move into an Executive Session, pursuant to to Colorado Revised Statutes (CRS) 24-6-402 (4) (b) (d) concerning matters related to to the sale of Granby Ranch. Trustee Natascha O’Flaherty recused herself from the Executive Session due to a “perceived conflict” with Cipriani. Marise told the trustees she would prefer that all members of the board come in to the Executive Session and stated for the record she did not ask that Trustee O’Flaherty be excused. Trustee O’Flaherty asked Town Attorney Krob for clarification of whether the purpose of the Executive Session was (b) or (d), which are two separate, distinct purposes. Krob clarified that (b) was applicable to the Executive Session. In legalese, (b) is for “Conferences with an attorney for the local public body for the purposes of receiving legal advice on specific legal questions”. At that time, the board, mayor, town attorney, town clerk, Marise Cipriani and her husband, Celso, entered Board Chambers for the Executive Session. When the Board reconvened, no further information on the pending sale of Granby Ranch was relayed to the public attendees. 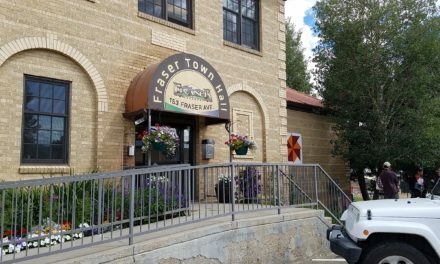 The trustees next continued the discussion and possible approval of the Town’s model Traffic Code Adoption Ordinance, since Town Manager, Aaron Blair, was not present at the meeting. The discussion will be moved to a future meeting. The Board moved on to discuss the proposed changes in Grand Fire District Emergency Services impact fees which had been developed based upon the results of a Fire Impact Fee Analysis conducted in 2018. Granby Town Ordinance 791 requires that an impact fee study be completed every five years, and the last analysis was conducted in 2014. Currently, the residential impact fee is a flat $617 per residential unit. The 2018 analysis proposes the structure change to $.34 per square foot (s.f.). As an example, a 2,500 s.f. residential unit would cost $850 under the new fee structure. For commercial property, the current impact fee is $.28/ s.f. The proposed fee structure would effect $1/s.f. In 2019, it would step up to $1.10/s.f., increasing annually at a rate of $.10/s.f. per year. Grand Fire Chief Brad White appeared before the trustees and asked them if there were any further questions. Trustee Josh Hardy stated that he had met with the Fire Department Board and went over his concerns. He told the trustees that the study recommended the impact fees be twice the amount, so they (Grand Fire Board) chose to step them down. Trustee O’Flaherty voiced concerns of the reliability of the current structure, since, in the case of economic downturn, the anticipated funding may not be collected. She also noted the variance in the commercial impact fees, going from $.28/s.f. to $1.40/s.f. by 2023. “My biggest concern is a level playing field”, she said, adding, “is this what the county approved?”. If the county passes something different, it could impact a buyer’s decision on where they choose to purchase land. Another question was whether an exception for schools and public buildings could be written in. “How can we make small tweaks to make it more palatable?”, asked Trustee O’Flaherty. White clarified that the impact fees only apply to new development. A new residence or an extension to an existing business beyond the original footprint would be the only development to which it applies. He added that they do have a mechanism for exceptions, local government to local government, “we have made those in the past”. The trustees agreed to continue the discussion until after the county has made a decision on the impact fees. The Trustees approved Ordinance 908, amending Title 6 of the Town Code regulating offenses to animals. 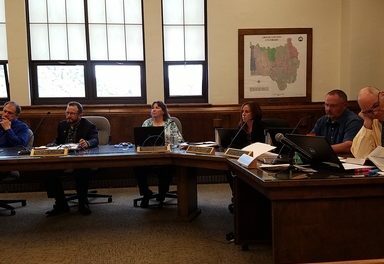 The discussion on an ordinance which would amend Town Code regulation of fires within the town was continued to the next meeting to add permit language for bonfire events. Ordinance 909 clarifies the way peddler, mobile vendor, solicitor and canvasser licenses are issued. The trustees approved amending the code so that all permits reflect consecutive days of validity. A month-to-month engineering contract with SGM Engineering was approved unanimously. 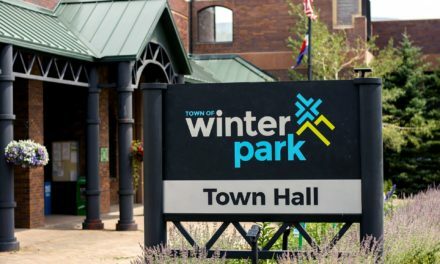 The trustees also approved a 60-day extension of the franchise agreement with Xcel Energy in order to work out conditions of the franchise agreement. Following the third and final Executive Session of the meeting, attended by the board, staff and developer, Mark Unicume, and pertaining to the Rodeo Grounds Development, Mayor Paul Chavoustie announced “we have a purchase and sale agreement conveying land to the developer”. 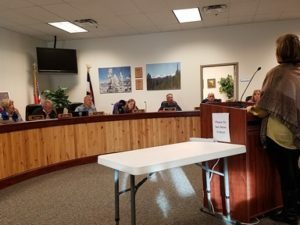 Chavoustie also stated that the Town will facilitate a Workshop for the residents of the neighboring Silver Sage subdivision, the town manager and the developer to discuss their concerns and options for access to the new development. He added that the the board won’t participate in the workshop, since it is quasi-judicial. Silver Sage resident and spokesman, Christian Hornbaker, told the trustees and developer, Mark Unicume, he looked forward to working with them. The trustees unanimously approved that the property, which had been given to the Town as part of the Granby Ranch annexation, be conveyed for deed restricted, attainable units. In the preliminary plat filing of the first phase, the developer proposes construction of 106 attainable housing units, which, when complete, will create affordable housing options for residents with income between 80% – 120% of the average median income (AMI) in Grand County. 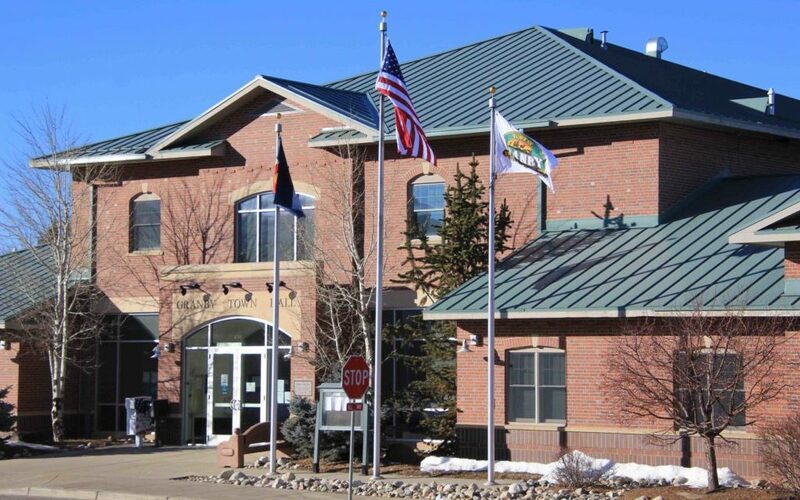 The Public Hearing on the subdivision has been continued by the Town Planning Commission to a future date which is yet to be announced, pending receipt of additional information. PreviousIt’s Party Time in the mountains!